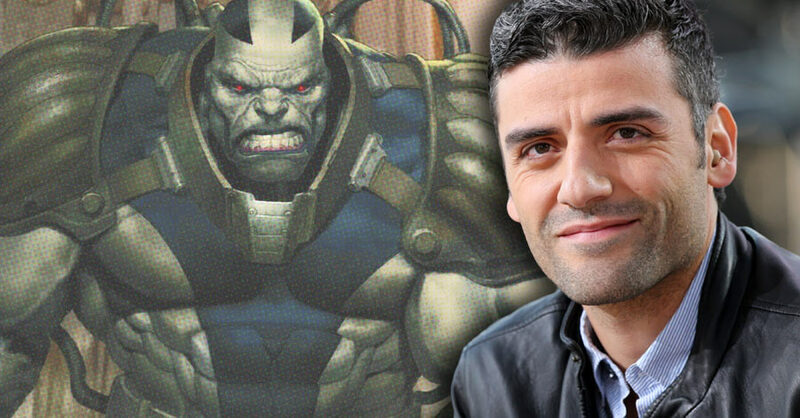 Variety reports that Oscar Isaac has been cast as the title villain in X-Men: Apocalypse. Singer also hinted that Apocalypse could be set in the 1980s and could feature younger versions of familiar characters. Isaac meanwhile will be seen next in A Most Violent Year opposite Jessica Chastain. The film is a dark horse awards season contender. Fans of the sci-fi/comic book movie genre though will recognize Isaac as one of the actors that are part of the upcoming Star Wars: Episode VII – The Force Awakens cast. His character in that film has not been officially disclosed. X-Men: Apocalypse is slated for a May 27, 2016 release. Tags: 2016 movies, Apocalypse, Bryan Singer, casting news, comic book movies, comics, Derrick Deane, film, Marvel, movies, oscar isaac, X-Men, X-Men: Apocalypse. Bookmark the permalink.